Home / Posts tagged "Non-Invasive Treatment"
The body’s ability to heal itself depends on a healthy nervous system. Events such as auto accidents, sports injuries, and repetitive stress to the back can hinder the body’s natural ability to adapt. The joints of the spine “lock up” when these events happen, limiting range of motion. Spinal joint restriction and/or misalignment irritates and puts more pressure on the spinal nerve, which can show up as back pain or neck pain. 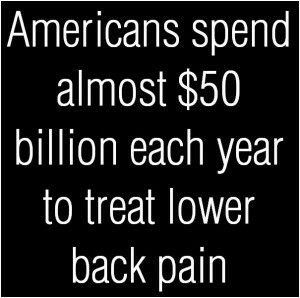 How many Billions of Dollars did Americans spend treating lower back pain? The lower back is the region that connects the upper body to the lower body. Since it supports the majority of the body’s weight, lower back pain is a lot more common than you might think. It is not that difficult to hurt yourself by lifting a heavy object or reaching for something. In fact, the majority of people will experience some form of lower back pain at some point in their lives. 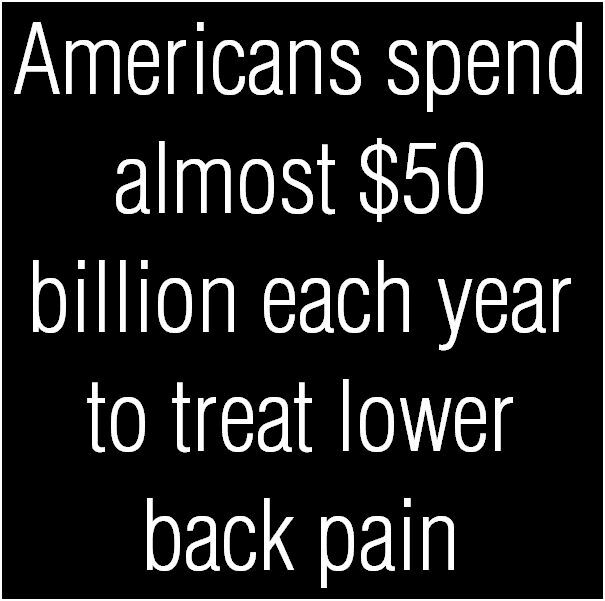 Americans spend almost $50 billion each year to treat lower back pain, which is the most common cause of missed work days and job related injury or stress. Acute back pain tends to fade within a few weeks. However, if left untreated, lower back pain can become chronic, especially if you are under a lot of stress or undergoing depression. Walking and rest are perhaps the simplest treatments for lower back pain. However, if your pain persists for a few weeks, further treatment (such as massage, spinal manipulation, and muscle strengthening exercises), may be needed. Chiropractic treatment is a very effective way to treat lower back pain. Chiropractors will use hands-on spinal manipulation, aligning the body’s musculoskeletal structure so the body can heal itself. Applying heat or cold may also be used to alleviate any pain felt as a result of the lower back pain. If you lift heavy things for work, talk to your human resources department to see there are other ways to do your work. Do not depend on a lifting belt to protect your back. If you are still suffering from lower back pain, make an appointment with us, Injury Clinic of Dallas, at 972-644-5555. One of our staff members will help you set up a time to come in for your free consultation and direct you to our office in Richardson, Texas and visit with our Chiropractor. 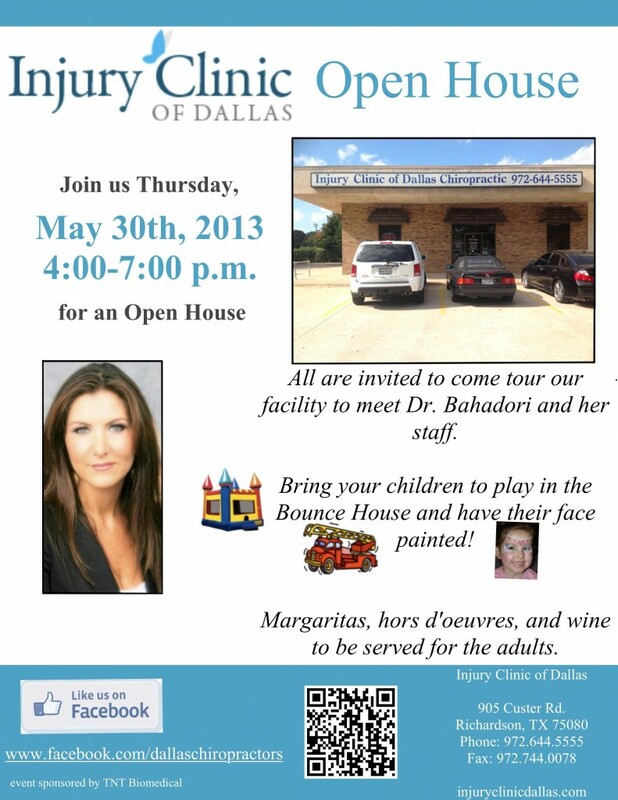 Open House at Injury Clinic of Dallas. Kids Welcome! We will be having an Open House on May 30th from 4-7pm. Meet Dr. Bahadori and her awesome staff! Bring your kids too! There will be a bounce house and face painting available for the kids to enjoy. Check out our flyer! If you would like more information, please contact us! A few weeks back we ran a herniated/slipped disk article detailing it’s causes, symptoms and potential treatments. If you’ve missed that article, you can find it here.Today we’re going to discuss sciatica, a condition often associated with and caused by a herniated or slipped disk in the vertebrae. Sciatica is a condition of the sciatic nerve in which the nerve is either damaged, irritated or compressed. 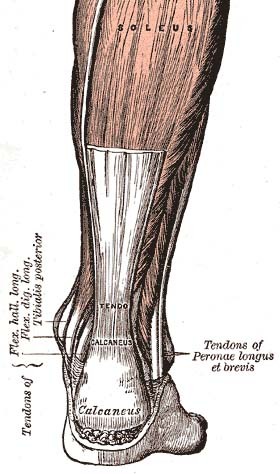 As the sciatic nerve is the single longest and widest nerve in the human body, running from the lower back all the way down to the back of the foot, there is a fairly large area where the nerve may become irritated. If you experience one or many of these or similar symptoms, it is important to seek treatment. Sciatica, first and foremost, is a symptom or a group of symptoms of an underlying condition, not a standalone ailment. Because of this, it must be identified and diagnosed as early as possible in order to keep the underlying condition from worsening. Please come by the Injury Clinic of Dallas office or call us today for your FREE consultation! Last week we talked about bursitis, a condition directly linked to the inflammation of the bursa, one that is both restrictive and painful. To keep with the inflammation discussion, this week we’re going to take a look at another similar condition that also occurs due to inflammation; tendinitis. 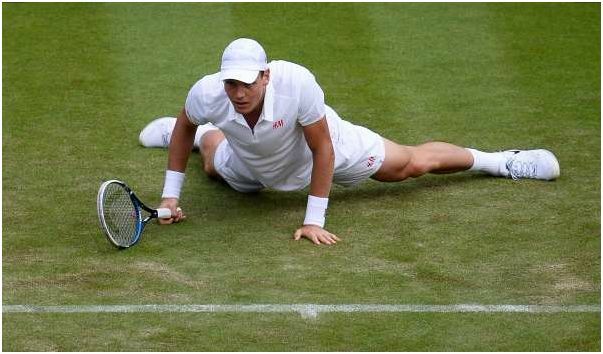 Tendinitis may be caused by overuse of the tendon, usually due to repetitive motion (jumper’s or runner’s knee). It can also occur as a result of injury or aging (tendons loose elasticity with time as they are used). Untreated, tendinitis may become chronic or lead to further injury of the affected area. Thus, it is important to diagnose and treat tendinitis as soon as it occurs. Failure to do so may lead to loss of range of motion, stiffness, weakness and recurring pain. In some cases, loss of function may also occur. If you believe that you may be experiencing a form of tendinitis, call or come by the Injury Clinic of Dallas office in Richardson. Top 5 CrossFit Injuries Chiropractors Treat! Call us today at 972.644.5555 or use the form below to send us a message. Been in a car accident? We can help! Call 972.644.5555 to schedule your appointment today!